A limited edition of vodka from the Russo-Baltique brand has been stolen from Copenhagen bar with an extensive vodka collection. Café 33 boasts one of the world’s most impressive vodka collections with over 1,200 vodka bottles. On the morning of Tuesday, 2nd January an individual ‘broke-in’ to the bar and left with the bottle reportedly worth $1.3 million. 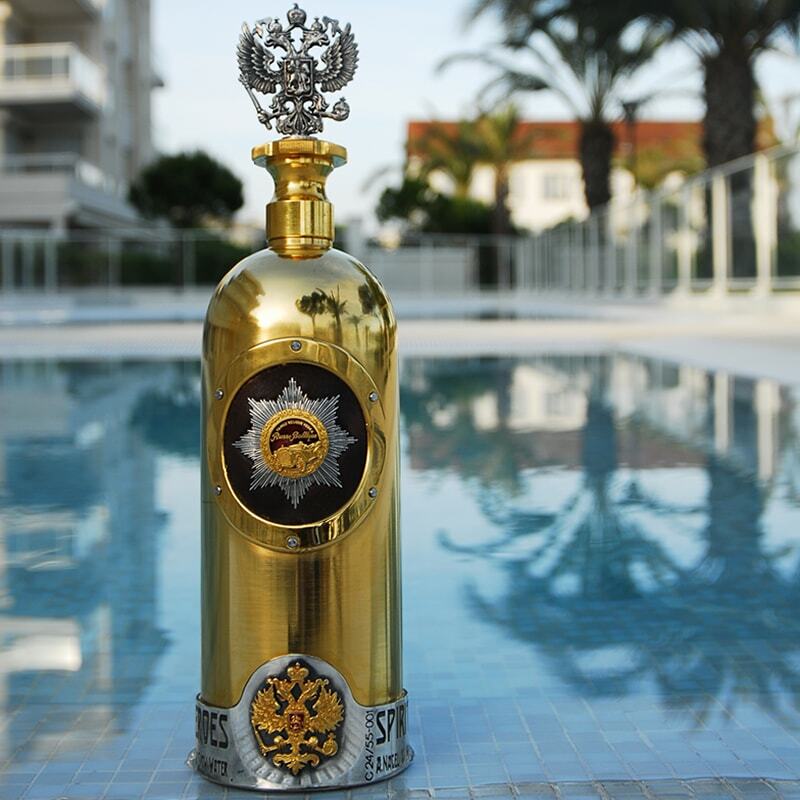 Russo-Baltique, the luxury Russian car company made a limited edition bottle of their vodka for their 100-year anniversary. The bottle has 6.6 pounds of gold, 6.6 pounds of silver and is encrusted with diamonds. Little has been said about the quality of liquid inside or how much the thief could actually sell the bottle or its contents for.